February | 2010 | NICE! Site promoting Uniqlo’s range of women’s leggings. Another cool uniqlo site – interactive slideshow of leggings beginning with a zoomed in pan then with a video of a model walking in them. Colourful and fun it is also nicely integrated with online shop too, very smart. Love the panning feature, and slideshow, and the video is a nice touch too, cool animation and transitions. 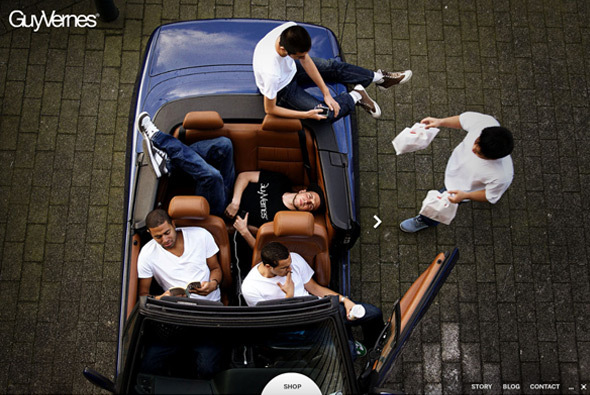 Website of Dutch apparel brand Guy Vernes. Nice and simple slideshow of lifestyle photography twinned with a product section where you can buy what you see. Love the slight movement on the images and the use of icons, the online shop is integrated really well linking to the product you see in the photo. Really nicely developed, slick and fun to use – pretty smart website for a small label. 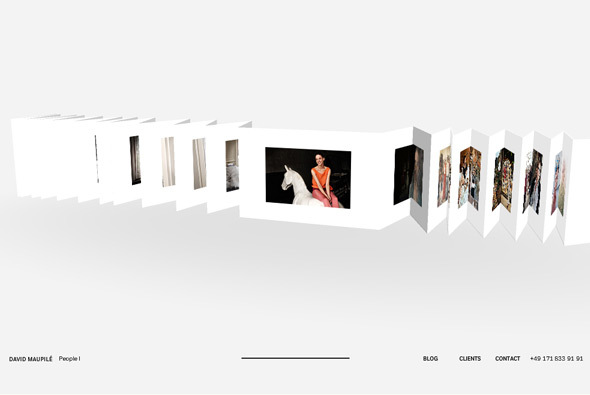 Beautifully simple portfolio of ‘Full Size Image’. Using pixels of light that move around to form text and thumbnails – each project scrolling past and regenerated by pixels on the homepage. 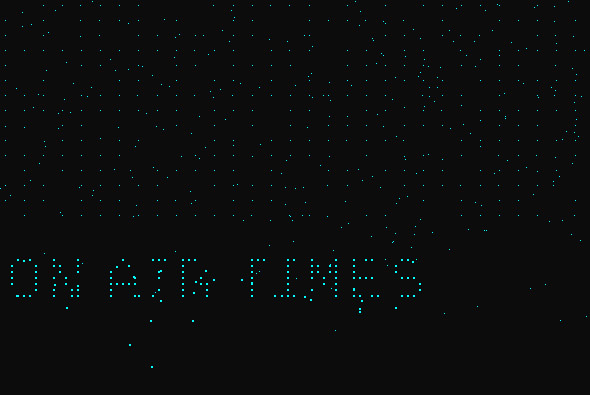 Love the movement of all the pixels and simplicity of it all. Portfolio of photographer Uli Heckmann. Unique photoshop inspired portfolio, featuring the mask tool everywhere! I love the way the alphabet is used as thumbnails for the photographs – filling once you have seen that picture. 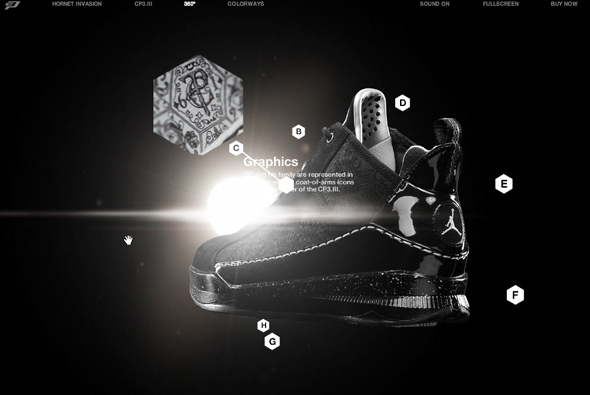 Nice transitions and interactivity, very cool. 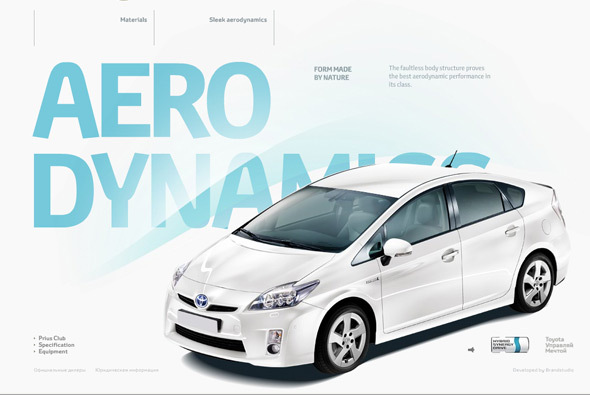 Website for the Toyota Prius for the Russian market. Really nice motion graphics and videos to introduce features of the car – followed by nicely designed info screens highlighting the specifics. Loads of really cool animations and a massive attention to detail – really like the way the car appears in the info screens and the sleek well considered design. 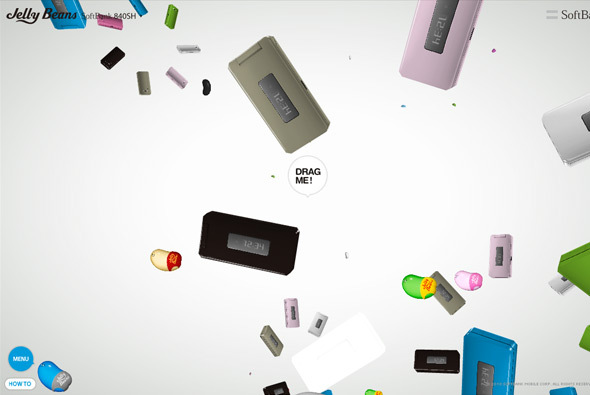 Sound design is also great, all in all a pleasure to use and a very informative, fun consumer site.